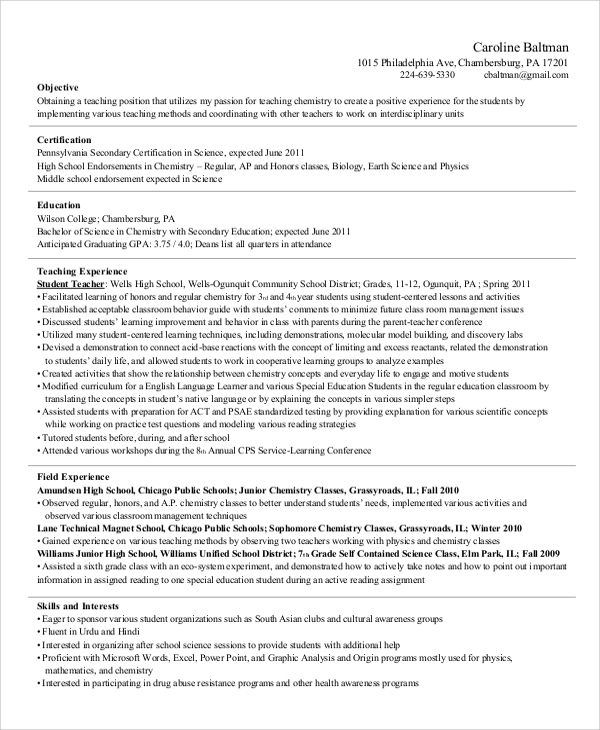 The resume of an educator/teacher should not only project extensive knowledge in a subject but also educational techniques that makes him/her different from the rest. Depending on the institute and subject you are applying for, it is a general belief that a mix of traditional teaching approaches and new technical knowledge makes the resume of a teacher superior. 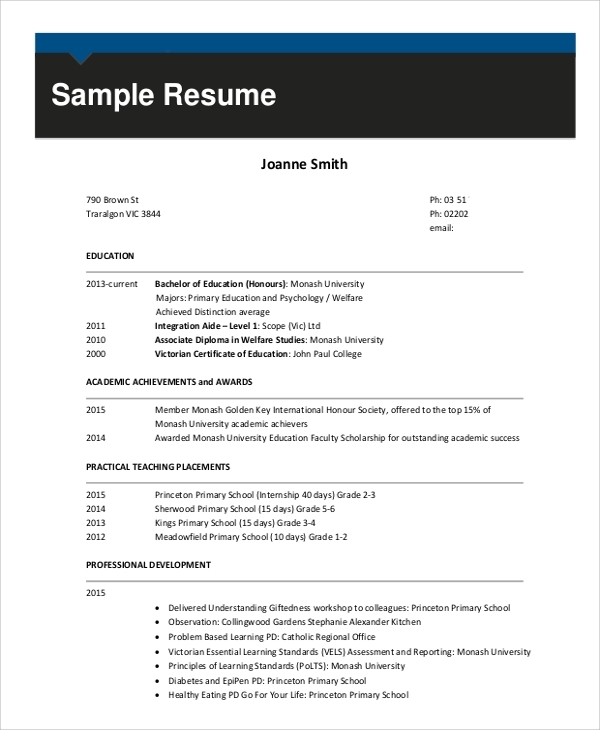 Well, here are some templates that should help you come up with a powerful Sample Resumes. As a school teacher, it’s important that the educator has a through grasp on the subject and simultaneously be experienced in handling young pupils. It is necessary that they possess good communication skills, are patient, tolerant and can become flexible as the situation demands. Here’s the perfect resume to follow. The Preschool are the most important period in the life of any student. This is when he/she is supposed to learn from a highly supportive environment. 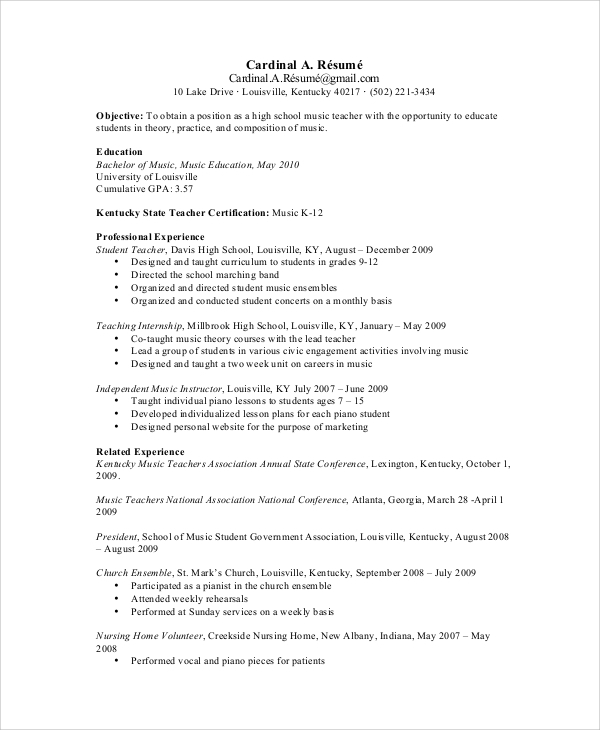 This template exactly shows what to put in such a resume. The objective is the most important and also interesting part of a Teacher’s Resume. As such, recruiters look forward to a crisp presentation. It should answers questions like who you are, the goals of your career and more importantly, what special things you would do with the position. 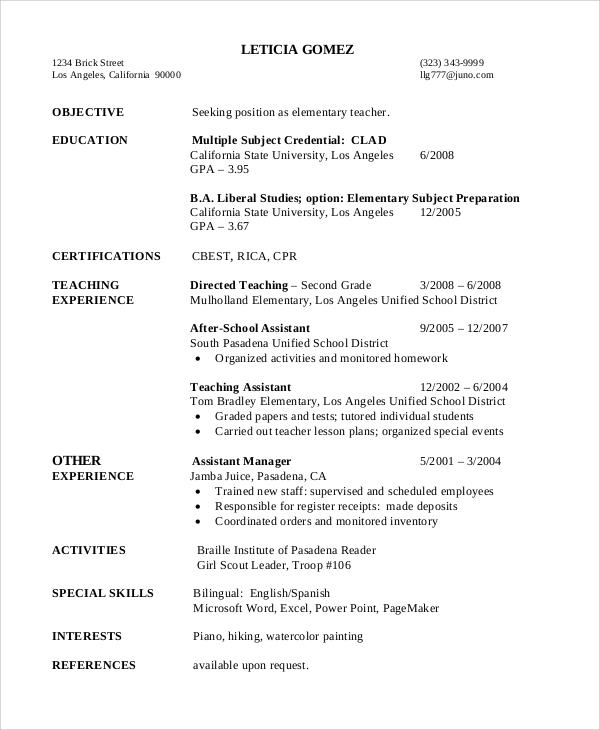 How to Come Up With a Powerful Teaching Resume? Educators and teachers are the backbone of any society and the job brings in unique challenges. Just good subject knowledge isn’t enough to handle students that come from varied backgrounds. You should be a people-person to understand the needs of your pupil and also have the management skills to manage a class of oddities. It’s not the subject that makes a class interesting but the way of presentation does. As such, your teaching resume should highlight skills that have helped you in similar situations. 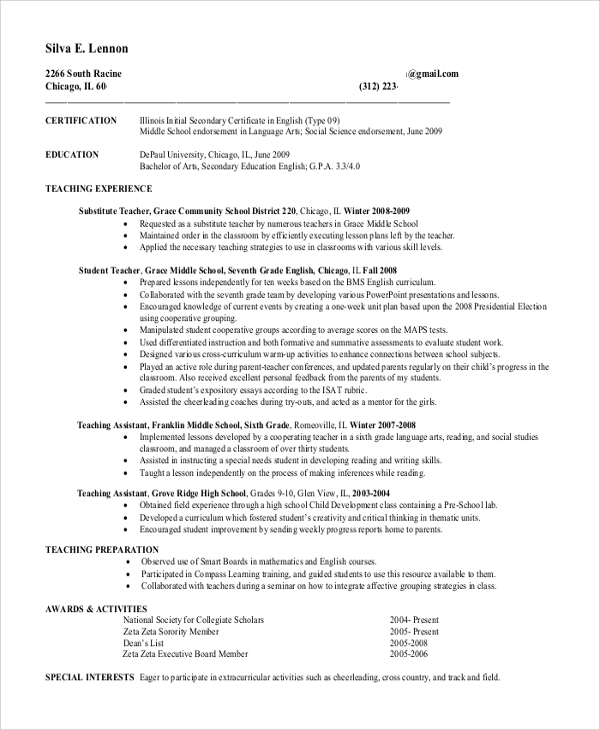 An excellent Teaching Resume should highlight skills of decision making, organizing, planning, critical thinking, flexibility, verbal communication skills, self-motivation, patience and more. There’s a lot of competition when it comes to elementary teaching positions. 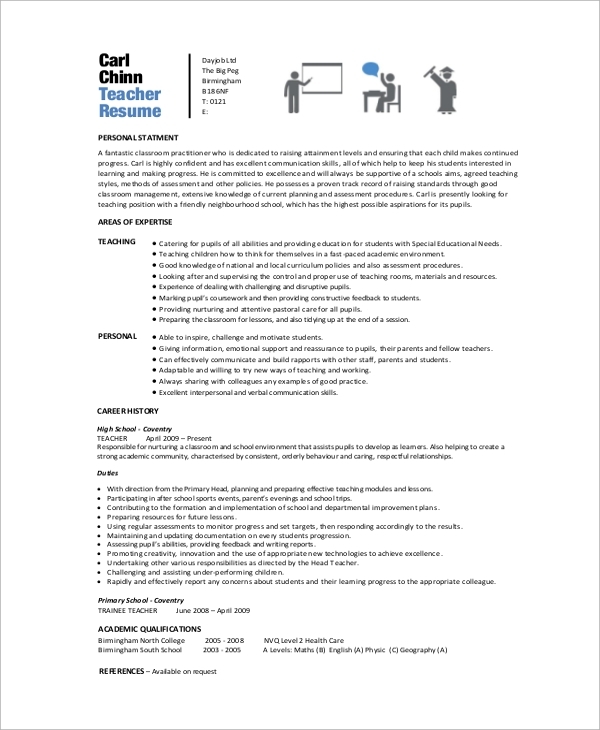 For making your resume look compelling and interesting, there are plenty of things that the document should highlight – experiences, interests, personality, etc. Check this out. 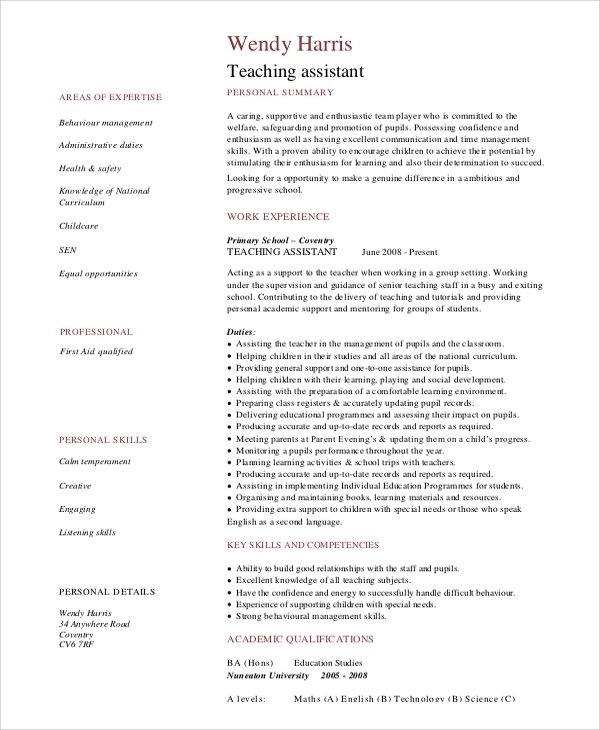 For someone new to the teaching field, the resume should be backed by educational qualifications, certifications, achievements, voluntary experiences and anything else that prove that the candidate is an ideal choice for the position. You may also see the Sample Teacher Recommendation Letters. 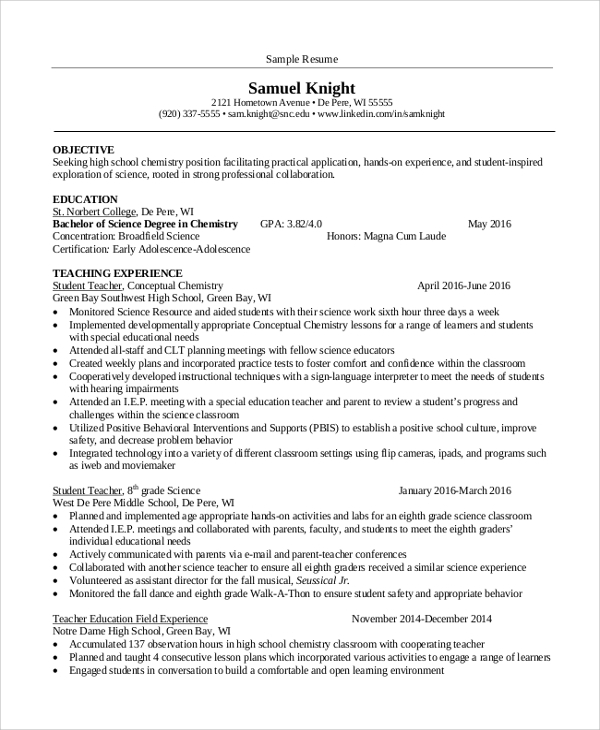 What are the Things You Should Not Include in a Teaching Resume? Though you may have certain skills that make you a team player and a leader, it is necessary that you consider the message that needs to be passed on. For instance, if you list ‘paintball’ as a hobby, it may showcase your affinity for violence though the game is harmless in itself. 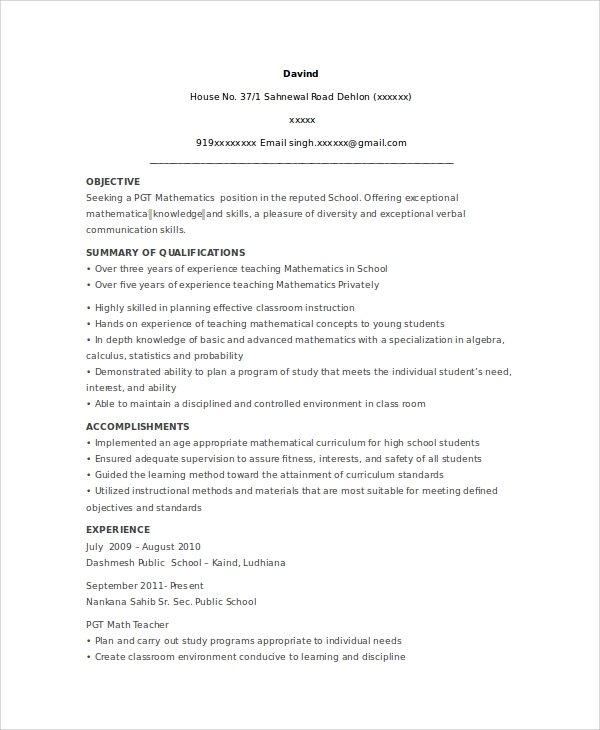 You may also see the Sample Teacher Cover Letters. The same applies if you are looking to emphasize on your religious interests and political beliefs. The only things to note in the resume should be activities, associations and passion that can be a positive guidance for your students. Also, you need to prepare to answer questions about your hobbies, interests and passions. All above Elementary Teacher Resumes are offered as both instructions and templates to help you come up with a detailed document. Customize them effectively for the maximum impression.